– There’s a 10% chance of an asteroid causing planet-scale damage with 100,000 megatons of energy released. – There’s a 50-50 chance of a 500-meter asteroid that could destroy an area the size of Texas with a 6,000 megaton explosion—100 times the USSR’s biggest bomb. – There will be about TEN 200-meter asteroid impacts, good for 400 megatons. – There will be about A HUNDRED 70-meter-diameter asteroids, each causing 15 megatons of damage (i.e. worse than the Tunguska explosion, which would have wiped out all of London if it had hit there instead of the remote wilderness). As we struggle to keep this all in perspective, we might send grateful birthday greetings to the man who wrote the book on perspective, Leon Battista Alberti; he was born on this date in 1404. 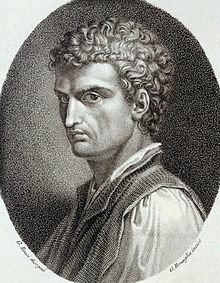 The archetypical Renaissance humanist polymath, Alberti was an author, artist, architect, poet, priest, linguist, philosopher, cartographer, and cryptographer. He collaborated with Toscanelli on the maps used by Columbus on his first voyage, and he published the the first book on cryptography that contained a frequency table. 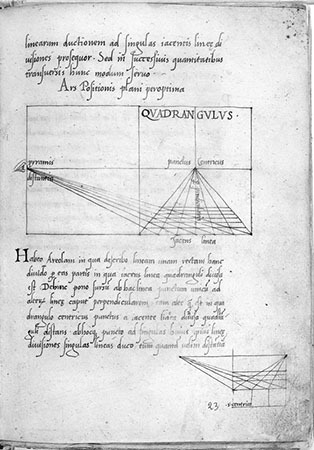 But he is surely best remembered as the author of the first general treatise– Della Pictura (1434)– on the the laws of perspective, which built on and extended Brunelleschi’s work to describe the approach and technique that established the science of projective geometry… and fueled the progress of painting, sculpture, and architecture from the Greek- and Arabic-influenced formalism of the High Middle Ages to the more naturalistic (and Latinate) styles of Renaissance.